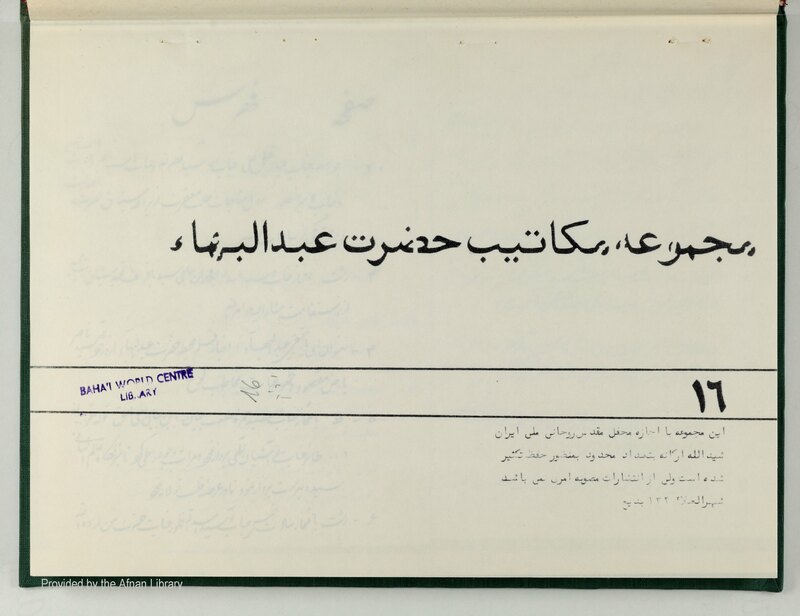 Description: Collection of Tablets of `Abdu’l-Baha. The names of most of the recipients are indicated and in many cases the town of residence also. The Tablets also have an annotation stating they were compared with the original. Includes a detailed index of the contents, pp. 2-17. Manuscript 240 pp. (138 pp. of PDF).